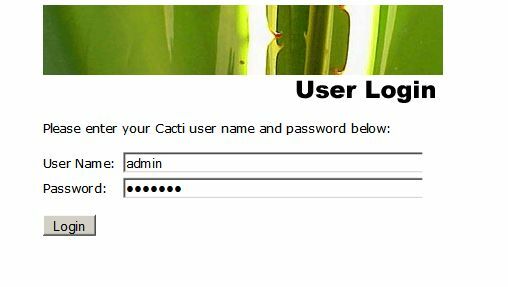 Cacti is a modest PHP website app for creating and hosting pages of continuously updated graphs using SNMP, WBEM or Script data stored in RRD databases. Here's how to do that. Structurally a Graph begins with a registered Device. 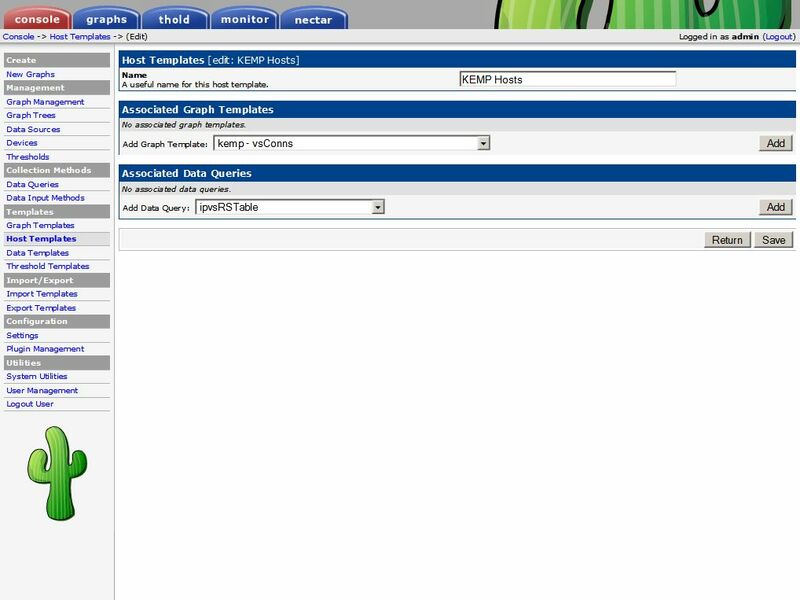 Registering it assigns it a Host Template, which assigns a default set of Data Queries and Graph Templates. Ideally a "Host Template" will already exist for this Device, if one does not select "None" then create the device. If there wasn't a Host Template for the Device, take a detour and create a new Host Template from existing Data Queries and Graph Templates and return to Edit the new "Device" and assign it the new Host Template and Save the change. 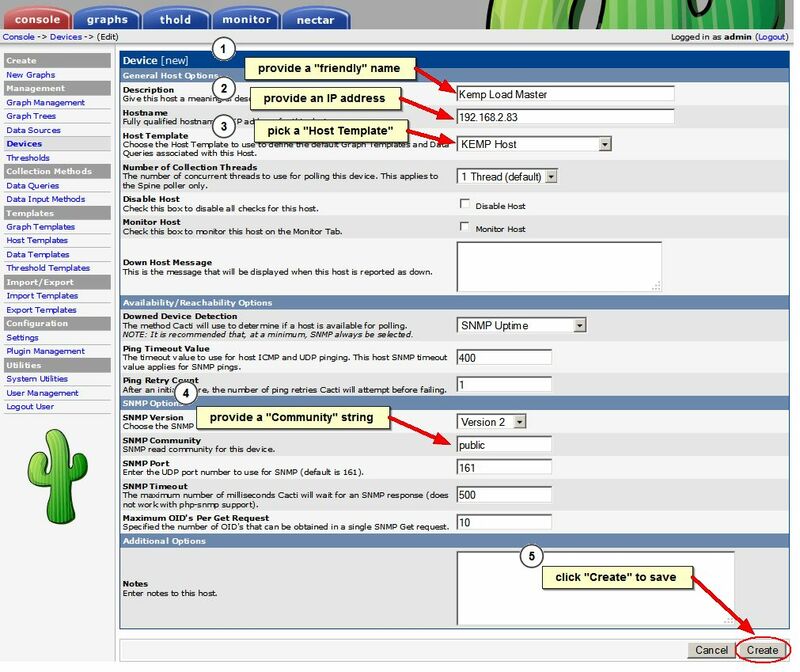 Ideally suitable "Data Queries" and "Graph Templates" will already exist and can be "Added", if they do not exist, make another set of detours to create them, then Edit this Host Template and choose to "Add" them to this Host Template and Save. 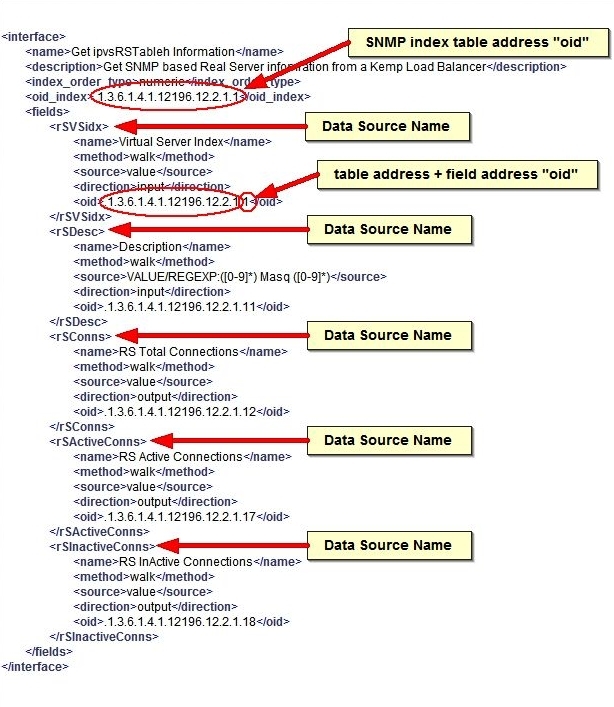 To create a new "Data Query"
The XML query file will have a "Data Source Name" for each of the values returned by a "Data Query". 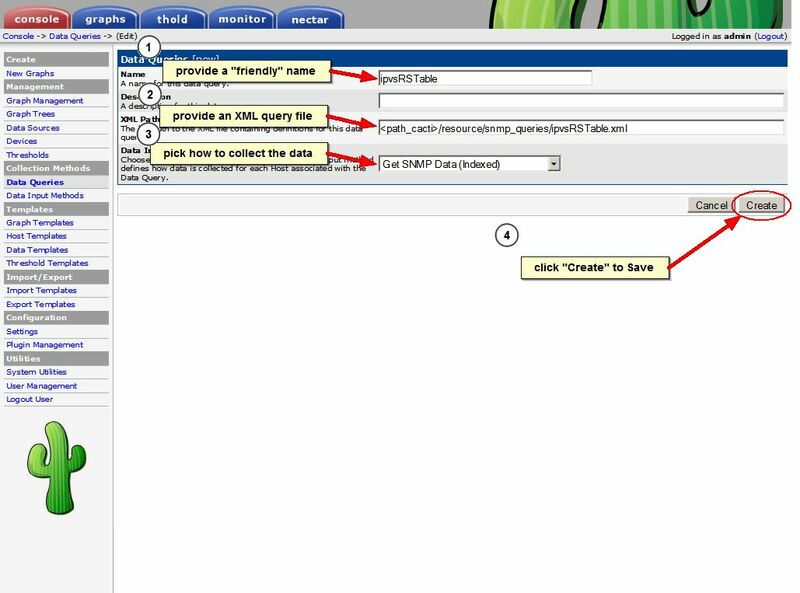 SNMP (Indexed) Data Queries use the oid addresses in the XML query file to find a table and its fields and retrieve the values from the SNMP agent on a device. 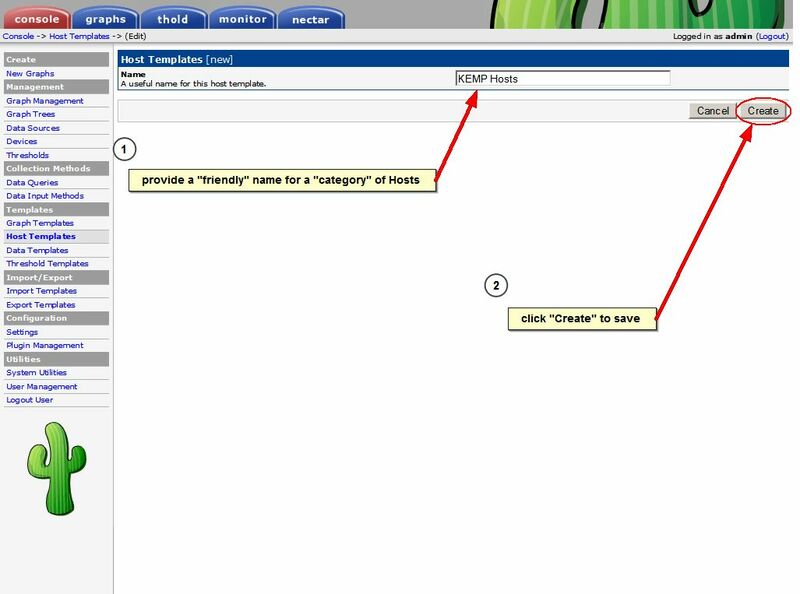 A "Data Template" will describe how to store the "Data Source Name" values as "Data Source Items" in an RRD database as a "Data Source". 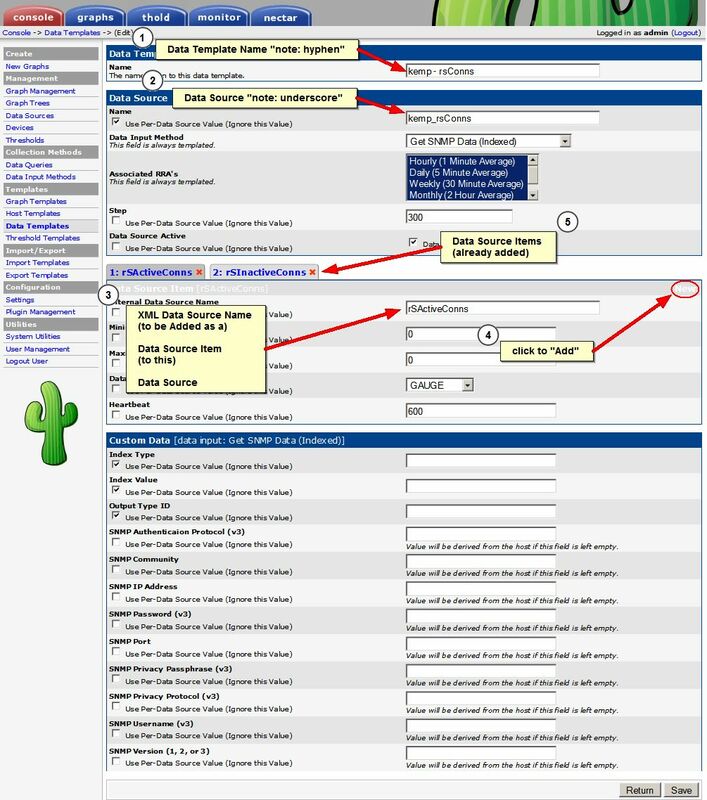 Additional "Data Source Items" can be added by clicking "New" (the default "Data Source Name" will appear as 'ds' until it is overwritten or changed and the template is Saved). More than one "Data Source Name" will appear as a new Horizontal tab above the "Data Source Item" edit section. 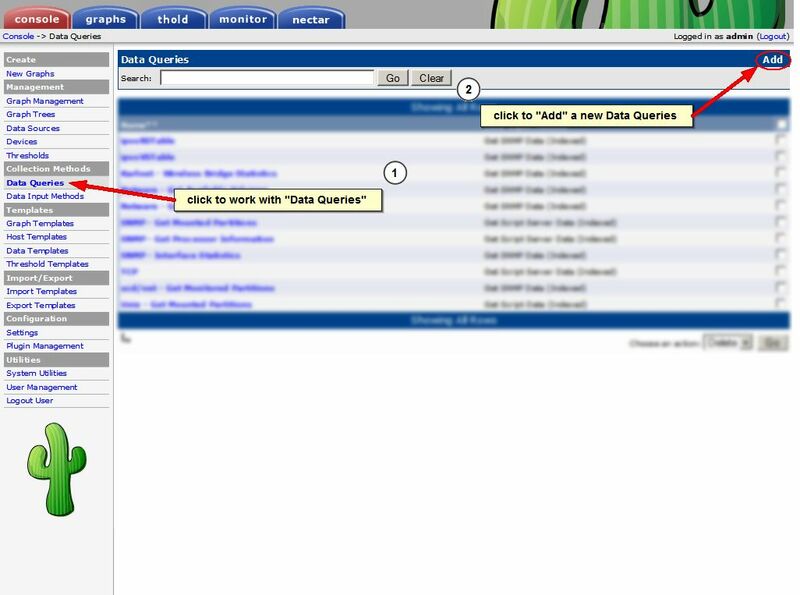 Old "Data Source Items" can be modified by selecting their tab. [warning] > once a "Data Template" has [Created] space for the "Data Source Items" in the RRD database files. The RRD files are not changeable. The "Data Template" can be modified but changes in the RRD files will not occur. The only way to redefine the RRD files (to remove or add more "Data Source Items") is to delete the Data Template and the RRD files and start over. This means any data stored in the RRD files will be lost. 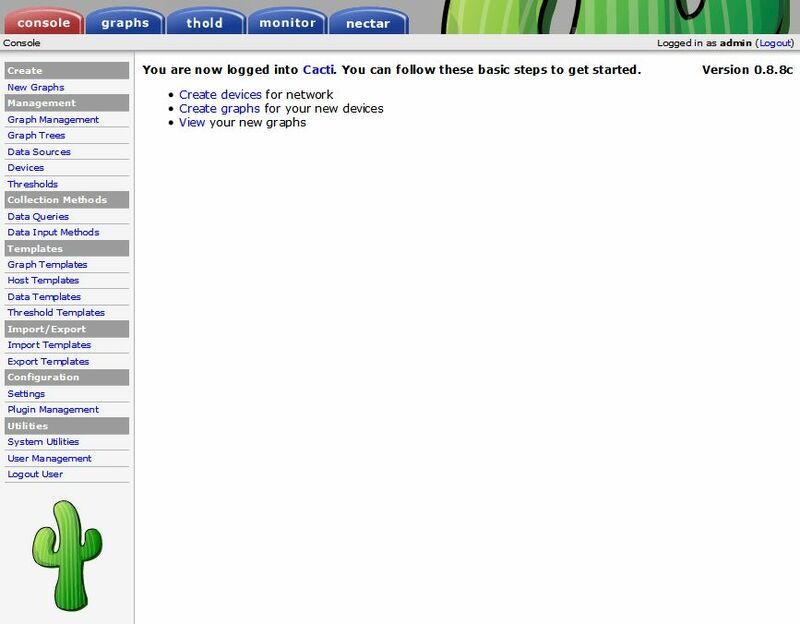 To create a new "Data Template"
A "Graph Template" will describe how to create a graph background and then graph items to put on to the background as layers on top of each other. 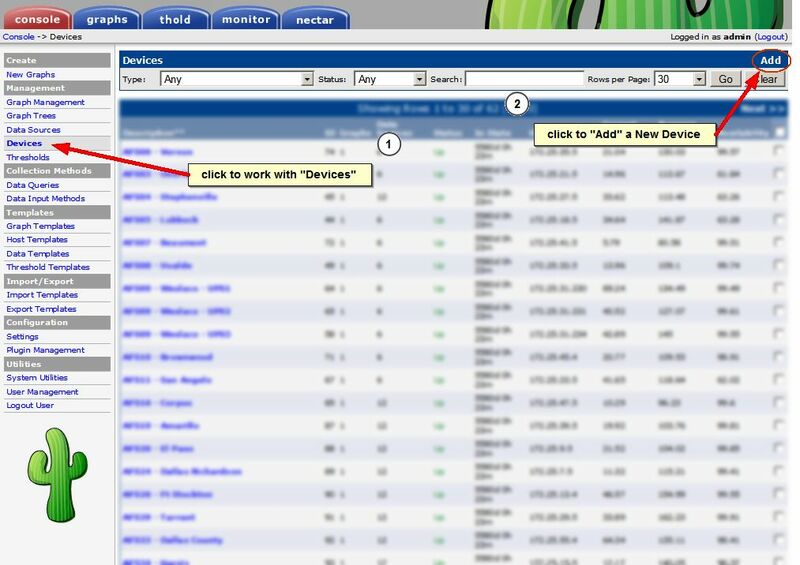 Then return to the "Devices" Tool menu, select the new "Device" and change its "Host Template" from [NONE] to [new Host Template] scroll to the bottom and click Save.